This past week I was visiting with Craig Fischer, VP of Alumni Relations for ACU and also our NCSA and AdvancEd accreditation commissioner. I had just left a breakfast meeting with Kelly Moore, the president of NCSA, our accrediting association. I love these meetings because I get to spend a couple of hours discussing with folks who hold our accreditation status in their hands the details of Brentwood’s academics and the progress on our 5-year academic plan. I get to brag about our faculty and staff and, more importantly, our students. As many of you have seen, there are academic roadmaps in every building and these roadmaps describe the progressive steps of one grade to the next. But did you know that Brentwood is also on a roadmap? We have a 5-year academic plan that is grounded in the neuro-educational philosophy of creating platforms of advancement that are well describe, well positioned, and are purposeful in moving students forward to higher levels of critical thought and knowledge retainment. The adoption of the PLC process that occurs on Wednesday’s is an example of the pedagogical methodology within our stated plan. As I was going through our progress and receiving affirmation that Brentwood is very well positioned to maintain its accreditation status as a model school my phone beeped to let me know I had a text. Though not a big fan of texting, this one really made me smile. In fact, I showed it to everyone at the meeting, their secretaries, the fella in the elevator and the waitress at Cracker Barrel. The text was letting me know that our Brentwood Christian School Bears had just won the TAPPS 5A State Academic Championship!! I left that meeting and made everyone I came in contact with look at that text. I copied it and sent it to everyone in my contacts list. Think about this for a minute. 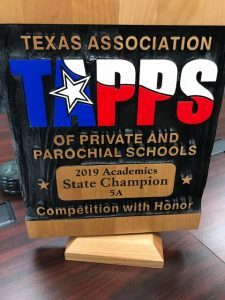 Last year your Bears won the TAPPS 4A State Academic Championship. We celebrated, as we should have, and we gave thanks for the opportunity, the struggle, the work, and the ultimate results. But we also knew a move to 5A was looming and we have been assured many times that we would be living in a different world. We would be with the “big boys”. While it is true that the competition on the stage and field has been much stronger it is also true that your Brentwood Bears have worked harder to represent our school and our Savior every day. Our faculty and staff and administration have worked with our Bears and have continually taught them that struggle is simply the introduction of opportunity. Work is a means to achievement. Difficulty is the pathway to betterment. 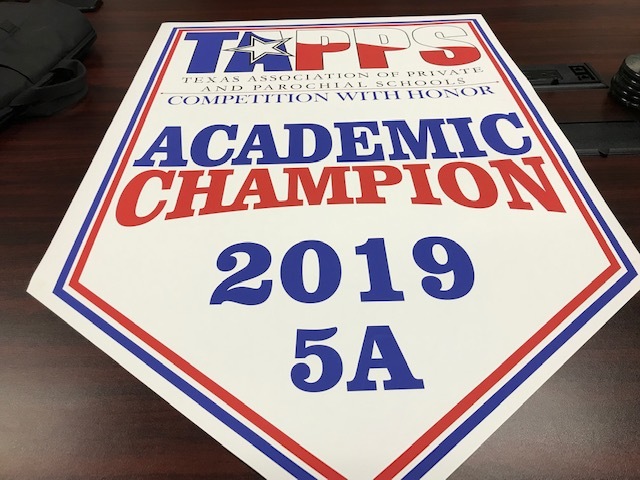 Our Bears struggled and worked and met the difficulties head on and they are your TAPPS 5A State Academic Champions. I end almost all of my community messages with the phrase, “It is a Great Day to be a Brentwood Bear!”. That is never more true than when you are in an accreditation meeting talking about your academic 5-year plan and our progress within that plan and you get a text that affirms for you that Brentwood Christian School is the top academic 5A school in Texas. I smiled until my jaw was sore and everyone I met and saw in Abilene knows that our Brentwood Bears are workers and opportunity grabbers and diligent knowledge seekers and they are your State Academic Champions! It is a Great day to be a Brentwood Bear! !